The CIA has been hacking wireless routers from more than two dozen major brands for years, but it doesn’t seem Apple’s AirPort appliances are on the list of compromised routers. WikiLeaks yesterday published a new batch of internal CIA documents which highlighted some of the hacks and programs that the spy organization has been developing internally for years. Those tools were specifically designed to infest Apple’s all-in-one iMac desktop and MacBook notebooks if an agent was able to gain physical access to the device. One of the methods involved utilized patched Thunderbolt EFI exploit. Apple told TechCrunch that the documents detail old exploits fixed years ago. Following the initial release of documents, dubbed “Year Zero,” which detailed tactics the CIA leverages to breach iPhones, iPads, Windows, smart TVs and other devices, WikiLeaks today published additional “Vault 7”-series materials. Code-named “Dark Matter,” the latest batch of secret files provides an insight into other CIA hacks and programs that have been internally developed and maintained for years with the goal of infesting Apple’s all-in-one iMac desktop and MacBook notebooks. Amid all the recent buzz surrounding Wikileaks and government agencies hoarding security holes for surveillance purposes, it seemed like the perfect time for iOS developer wizages to release a fun gag jailbreak tweak dubbed Build That Wall. 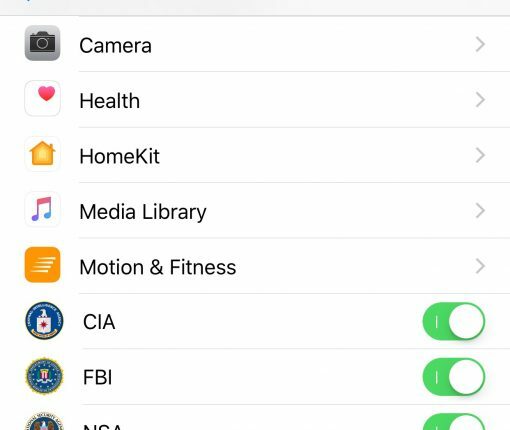 This tweak adds a few new switches to your device for togging surveillance from various government agencies on or off on demand. Apple said yesterday that “many” CIA exploits revealed in WikiLeaks’ dump codenamed “Vault 7” are already patched in the latest version of iOS. As for the remaining exploits, Apple engineers are working to address them as well, according to The Wall Street Journal on Thursday. A person familiar with the situation told the paper that Apple engineers have been coordinating the company’s response to this new security threat. Yesterday, WikiLeaks stunned the world by publishing a cache of 8,761 secret documents detailing dirty tactics that organizations like the CIA leverage in order to hack not just iOS and Android devices, but also computers, routers and televisions. In a statement issued to news outlets like TechCrunch, and subsequently posted to Twitter by BuzzFeed’s John Paczkowski, a company spokesperson confirmed that Apple had already patched many of the fourteen exploits mentioned in the WikiLeaks dump, codenamed “Vault 7”. 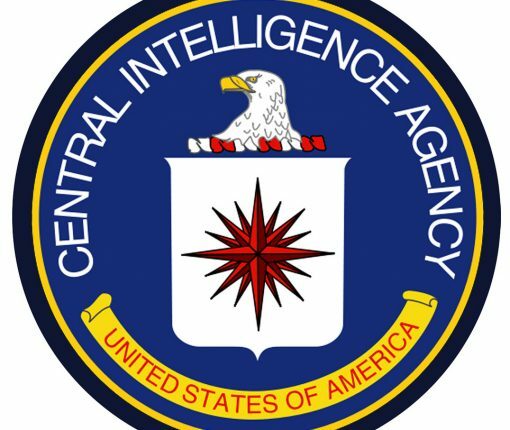 WikiLeaks today published a cache of 8,761 secret documents detailing tactics the United States Central Intelligence Agency (CIA) relies on for breaching iPhones, iPads, Android smartphones and tablets, Windows PCs and even routers and smart TVs. It’s currently unclear if the documents—available to peruse on the group’s website—have serious privacy and security implications. Dubbed “Vault 7”, the leak has been teased on WikiLeaks’ Twitter account for a few weeks prior to its release.